Thor: The Dark World takes place after the events of the previous films Thor and The Avengers, both part of the Marvel Comics film universe. Chris Hemsworth returns as Thor, the god of thunder and protector of the realm of earth who must do battle with the titanic forces of the universe one more time. The film opens with a flashback, before Thor's time, when his grandfather battled Malekith, an elf who sought to enslave the world with the dark forces of the Aether. Though Malekith lost the war, he and followers were locked away, and the Aether buried in a secret place. The movie then jumps forward to a celestial event called the Convergence, where all nine realms briefly align. Malekith awakens, reclaims his deadly weapons, and resumes a war forgotten for centuries. Thor, along with the Lady Sif, the warriors three and a mortal woman named Jane Foster, along with Thor's brother Loki, must set aside their differences and defeat Malekith. If they fail then the dark elf will destroy all things good in the world, setting himself up as the ruler of a conquered and destroyed world made of darkness, suffering, and an endless sea of pain. 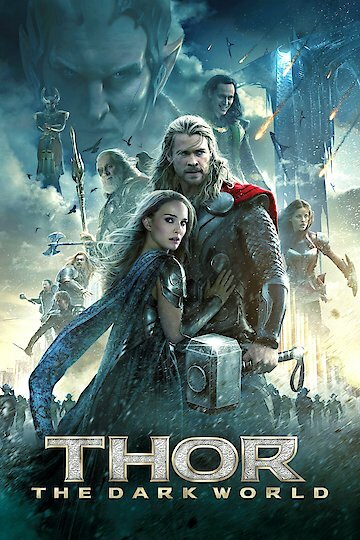 Thor: The Dark World is currently available to watch and stream, download, buy on demand at Sling, Amazon, Vudu, Google Play, FandangoNow, iTunes, YouTube VOD online. The actress angers some by refusing to travel to the country. "Thor: The Dark World" sequel to "Thor" and follow-up to "The Avengers", focuses on Thor’s battle against the powerful Malekith, who hopes to plunge the universe into darkness. If there was any suspicion that the movie-going public's interest in the "Avengers" characters was waning, the international opening of "Thor: The Dark World" this weekend should lay those doubts to rest. The film opened big, suggesting that properties with Marvel superheroes in them are still a guarantee of good financial performance.